This gorgeous stainless steel keyring can be engraved with the actual unique hand/footprints of up to three children, with accompanying names. 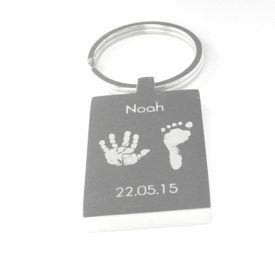 Capturing all of the fine detail of their little prints and making a truly special gift. 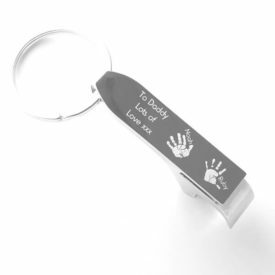 The reverse of the keyring can also be engraved with a short personalised message of your choice. 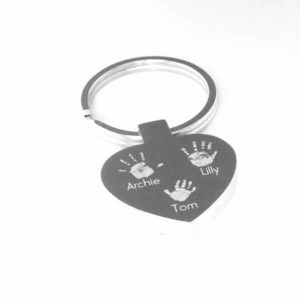 Chunky heart keyring with circle attachment. 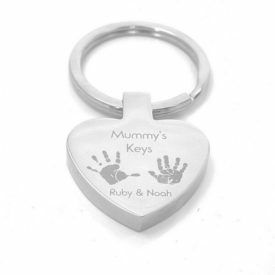 Polished to a high finish.